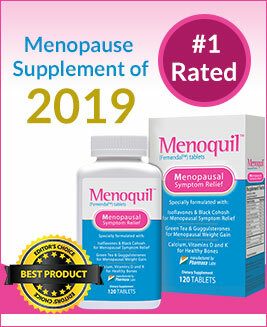 Menopause and Headache - Is There Really Any Connection? A headache is something that probably every person has experienced at some point in their lives. Some suffer from regular headaches, while others get a headache once in a while. A headache is any pain that originates in the head or the upper part of the neck. The structures and tissues that envelop the brain are where the pain usually originates. It never comes from the brain itself as this organ does not contain any nerves that can give rise to pain. Any other parts of the head – like the eyes, ears, skull and sinuses – together with their various parts can be irritated or inflamed, which can give rise to a headache. Inflammation of the upper part of the spinal cord can also lead to a headache. Menopause headaches usually occur for women who had hormone-related headaches before they reached the menopause stage. These headaches occur during the menstrual cycle when hormonal levels are not at their optimum level. This means that some women experience hormone-related headaches when these hormones are low, and some women experience them when their hormonal levels are high. Doctors assert that fluctuating levels of estrogen and progesterone may affect blood vessels and neurochemicals in the brain that cause the headaches. Once the hormonal levels stabilize during the menstrual cycle, then the headaches also disappear. Hence, women who have suffered with headaches at a certain time of each and every month may notice that their headaches get more severe as they approach menopause. In some cases these headaches completely disappear at after menopause. 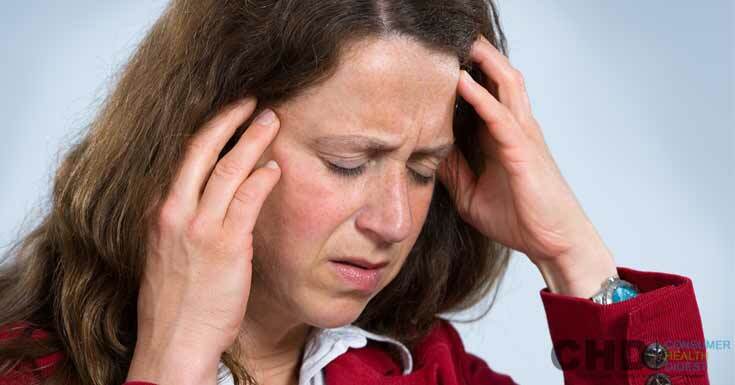 What is the Link between Menopause and Headaches? As already been stated, menopause can cause hormone-related headaches to get worse and to last longer. This is because during menopause estrogen and progesterone levels fluctuate for a few years, and then drop suddenly. Hence, this causes the headaches to become more severe because there is no point when the body has the optimum amount of estrogen and progesterone. It is therefore unlikely that they will get better or completely abate during menopause. Instead, a woman may find that, without treatment, her migraines will incapacitate her for up to 5 or 6 hours at a time. There are various symptoms that indicate a woman has menopause headaches. Up to 5 of these symptoms will usually display all at once. A woman should remember, however, that she is not to be controlled by these headaches. Instead, there are treatment measures that have been effective in controlling and in some instances completely eliminating the symptoms listed below. Research attempts that seek to uncover how the fluctuating hormonal levels directly cause menopause headaches have been inconclusive. However, doctors believe that the opposing effects of estrogen and progesterone on the brain’s blood vessels may be the main cause of the headaches. Estrogen makes the brain’s blood vessels dilate, and progesterone makes the blood vessels constrict. If the levels of these hormones fluctuate constantly, then the blood vessels dilate and constrict at a rapid pace, thereby causing extreme headaches. What Types of Headaches do Menopausal Women Most Frequently Experience? There are varied types of headaches that menopausal women experience. Each of these types of menopause headaches is triggered by something different happening in the body. This is the type of headache that is caused by lower or fluctuating levels of estrogen and progesterone in the body. This type of headache usually starts out during the menstrual period, and may get worse during the menopause period. Some women experience complete relief from menopause migraine headaches once they have gone through menopause, that is, once they have gone for 12 months without a menstrual period. A tension headache is usually caused by high stress levels. If a menopausal woman has severe and incapacitating menopause symptoms, she may be highly stressed about it. She may also be stressed because the late 40s and 50s is usually the time of life when most women go through big life changes like children leaving home, divorce or the death of a spouse. These tension headaches can also be caused by a stressful job. A tension headache is usually experienced as a moderate pain that is felt throughout the head. The pain may also be felt in the back part of the neck or the base of the skull. This type of headache is usually evidence that the sinuses are inflamed or blocked. The pain that this produces feels like a headache because the sinus cavities are located behind the nose bridge, and also in the cheekbones and forehead. Their function is to drain out the nose channels. Headaches are considered a menopause symptom if they occur frequently during the perimenopause and menopause years. Headaches will usually be triggered or accompany other types of menopause symptoms, for example anxiety and insomnia. Women who have suffered from hormone-related headaches prior to menopause are at the greatest risk of menopause headaches. Furthermore, women who live a sedentary lifestyle may also be at a greater risk. High stress levels and not enough sleep can also lead to headaches during menopause. In order to diagnose menopause headaches, doctors will usually run blood tests to determine if you are in perimenopause or menopause. Once they have inconclusive results that you are, they will then ask you questions about the type of headache that you experience. These questions range from how often you get the headaches, where you feel the pain and for how long, which part of the head you feel the pain and what type of pain it is. The type of headache you have will determine what treatment you receive. Most menopause headaches can be managed with a lifestyle change. By changing your eating habits and times, your sleep patterns to ensure you get enough sleep each night and including a regular, vigorous exercise program. Furthermore, the doctor may recommend pain killers, depending on the type of headache you are experiencing.